Welcome to the Current Middle Ages. 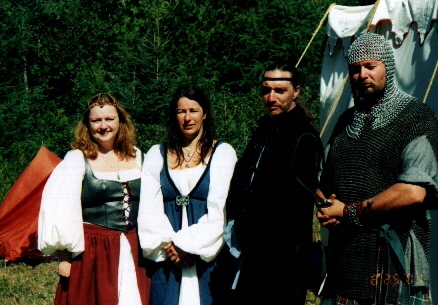 The Crew of the Roisin Dubh is a Household in the Society for Creative Anachronism (SCA), a medival recreation society in which we try to bring back the golden age of Chivalry. The Crew of the Roisin Dubh is based mundanely in Moncton, New Brunswick, Canada, with members in Nova Scotia, and are a part of the Kingdom of the East. We are a Merchant/Mercenary household within the Society.